Happy New Year everyone! We hope that you had an awesome holiday full of love, laughter, good food and friendship! Now that we are jumping into a new year and getting refocused, we would love to talk about our predictions for outdoor living trends in 2019! Last year we predicted the outdoor focus would lean towards indoor to outdoor seamless transitions, meaningful and low-maintenance materials, beautiful furniture as a cozy garnish and the implementation of backyard garden spaces…and we saw an influx of requests for each! This is a sign that more and more homeowners are concentrating on transforming their backyards into the spaces they have always dreamed of. Without further ado, let’s take a look at what we think will be a big hit in 2019! Time’s up on outdated pressure treated wooden rectangular decks. There are plenty of beautiful homes with a builder’s deck on the back, and homeowners just don’t want to deal with them anymore! Not only are builder’s decks simply unattractive, but their style isn’t cohesive with the home, the maintenance is too much for what it’s worth, they are typically too small for the needs of the family and don’t provide any shade. This is where you will find value in speaking with a landscape designer. A good designer will listen to your needs/likes/dislikes and create an outdoor plan that fits your home, family and lifestyle. Custom decks can incorporate ample room for all planned family activities, as well as unique style. Curved, cantilevered, ground-hugging, elevated, seamless transition, built-in seating, incorporated gas fire-pits…the possibilities are endless. The same can be said for a custom overhead roof system. Those who struggle with big-box store cabanas, portable metal pavilions or cumbersome outdoor umbrellas can attest that their price tag doesn’t always justify their longevity. One good wind storm can be the end to the only shade structure in the backyard! No matter what type of roofline your home has, a custom patio or deck roof can be incorporated. Hybrid roof systems can be created to take existing home skylights or changing rooflines into account. The landscape designer you hire should be able to use their creativity to provide a permanent shade system to give your family respite during the hot summer days and the pop-up sun showers, all while the new structures are cohesive and look as if they were originally built with the home. Maximizing a client’s enjoyment of their outdoor space is very important, and home and family specific custom features are one way to do so! Speaking of being cohesive and maximizing outdoor enjoyment, we feel that more homeowners will find the value of outdoor connectivity in the new year. For most, there are already features in the backyard that they enjoy but could be better; for example, a swimming pool that seems too far away, a walkout basement with french doors that lead to nowhere or even lack of connection from the driveway to the backyard. Having existing features that are disconnected or feel incomplete can put a damper on complete outdoor enjoyment rather quickly. Hiring a landscape designer to fit all the pieces of the puzzle together with an integrated comprehensive plan is the perfect solution. Being able to implement new decks, patios, walkways, lighting and landscaping to bring a disjointed outdoor living space together is worth the time it takes to go through the design process to discover the true potential of the outdoor space! It’s true that outdoor kitchens aren’t anything new, but the way homeowners are using this space is! Outdoor kitchens will continue to mature in 2019 by implementing specific appliances and bringing all of the comforts of inside the home, out. We will see a continued incorporation of grills, pizza ovens, refrigerators, sinks and storage but predict the growing popularity of unique features like ice makers, wine coolers, kegerators, smokers, dishwashers, outdoor cabinetry, oversized kitchen islands, bar displays…etc. Having the experience of a complete outdoor kitchen avoids the need to run inside for things forgotten or to bring plates and utensils outdoors…there will be a space and place for everything needed to prepare and enjoy delectable meals all the same! If the hardest decision to make is which keg wins the inaugural tap, we consider that a good day. While each outdoor living space typically has a feature that unintentionally stands out as a point of interest, we surmise that deliberately planned focal points will make a resurgence in outdoor living. Each backyard is truly unique, so this will be an ever-evolving feature, but something to catch the eye or be a conversation piece is sure to be in demand. Perhaps popular focal points will take the shape of a life-size basalt rock water feature highlighted with soft uplighting, a custom wrought iron statuette, die cut feature wall or possibly a unique twist on a structural element like a floating deck cantilever or a passthrough fireplace…have these limitless possibilities sparked your interest yet?! Last, but certainly not least, the gift of outdoor heat! Clients that absolutely love spending time outdoors say that they prefer to enjoy their outdoor living spaces for as much as they can, that is, until it gets too cold to be called enjoyable. This is where we predict that the demand for outdoor heaters that fit within the living space will become more prevalent. 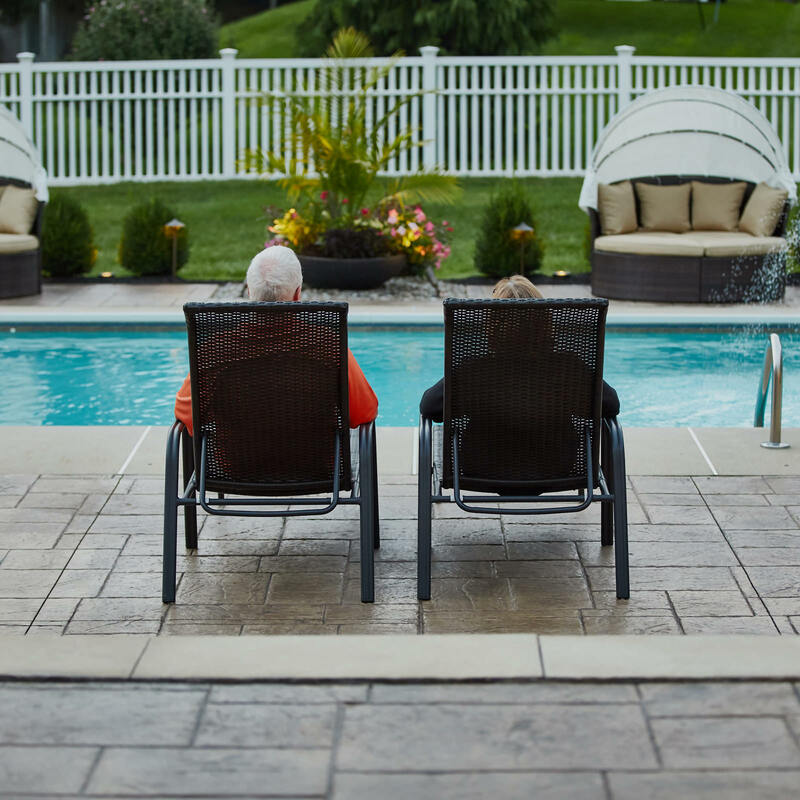 Of course, homeowners can enjoy countless hours sitting around a fire pit or nestled up close in front of their romantic outdoor fireplace, but what about those who can’t seem to sit still? The simplest way to achieve outdoor warmth would be to purchase outdoor propane-fueled patio heaters, you know, the kind you may find on the patio of your favorite restaurant. However, for those who prefer not to sacrifice floor space, we recommend exploring the option of Bromic heating. 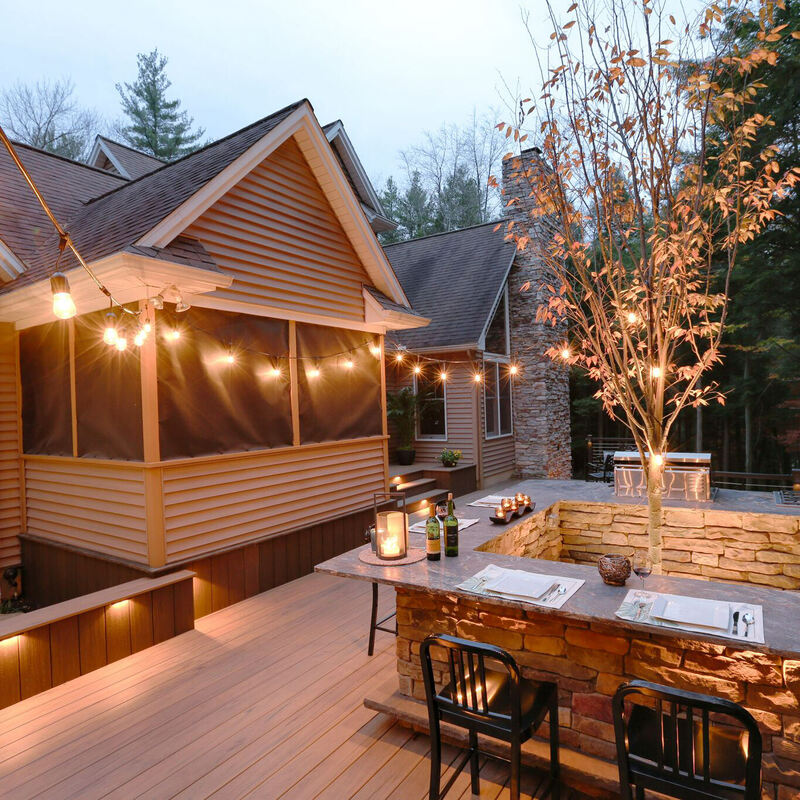 Whether gas or electric heaters make sense for the space, creating a wall of heat will guarantee extended outdoor living enjoyment through the year. So there you have it, our official prediction for the outdoor living trends of 2019. No matter what features and amenities are on your wishlist for your outdoor living space, your outdoor oasis should start with a well thought-out and creative master plan…and now is the time to explore your options! 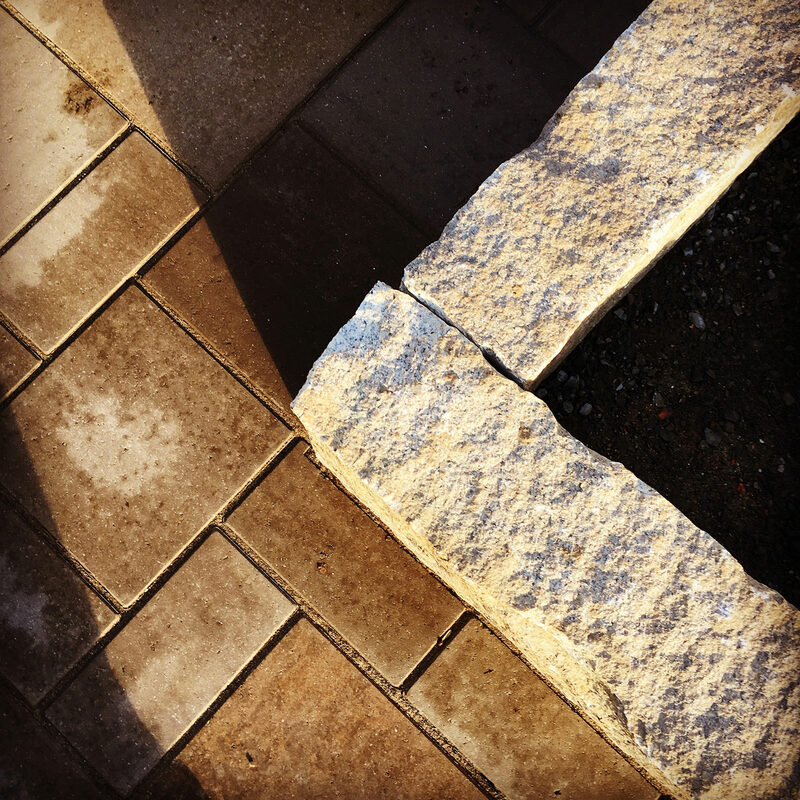 Winter is the best time to start planning your outdoor living project if you would like to expedite the process to ensure a spring or summer build of your backyard oasis, and MasterPLAN Outdoor Living would love to partner with you throughout the journey! 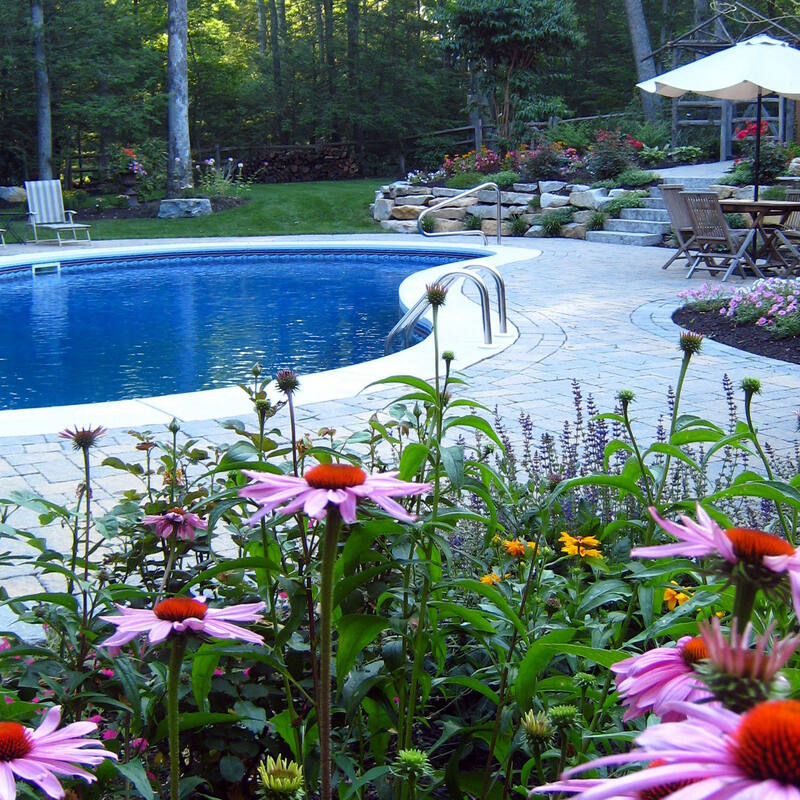 Serving the Poconos, Lehigh Valley through the Main Line of Philadelphia and western New Jersey, MasterPLAN would love to chat about your ideas and translate your thoughts into a comprehensive outdoor living space that you and your family can enjoy for years to come. If you would like to explore the options for your own home, reach out to MasterPLAN; we would love to welcome you into the family!